hanging on the wall above my mantel. they had done some other wood and beach decor items on it. I loved it so much I wanted to make one like it. I found a package of shims in the garage. that are used as spacers when needed. Well, when I picked them up I didn't read it and thought they were actually little slats. With the taper edges this made using them impossible I thought. Thus they found their way into the dreaded garage graveyard. and when I saw them I decided why not. I laid them out so that every other ones tapered edge was facing in the same direction. This basically gave me a flat "canvas in the center of the wood. I made two squares with nine shims in each and laid them out side by side. Then I painted them with Journal Book by Valspar. As you can see above it is a very pale blue. I basically dry brushed it on using very little paint so the wood would show through. rough peaks of the wood. This is after two coats of dry brushing with very little paint on the brush. I think it gives it a very worn beachy look. Now I am not a girl that uses power tools. I have always had someone around who felt they could do it better. So, I hot glued these shims together. I glued the shims to each other first - along the side edges. a solid piece that did not taper. on the non-tapered sections of the shims. Then I took the two squares and glued one edge to the other. After that I glued one of my three shims down the seam at the back. This made a pretty stable base. I then added a piece of twine to the back to hang it by. covered the cardboard backs with a piece of burlap. 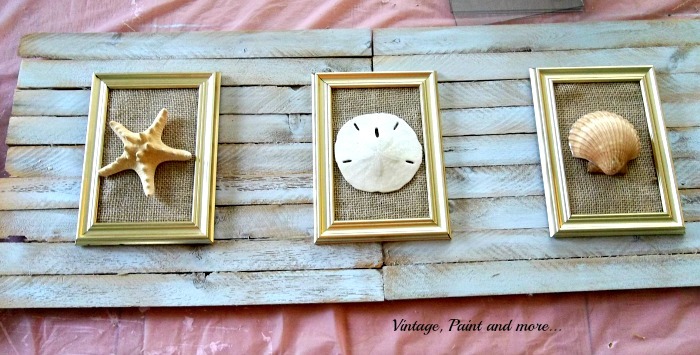 Then I glued a shell in the center of the burlap and replaced it in the frames. making sure they were evenly spaced. 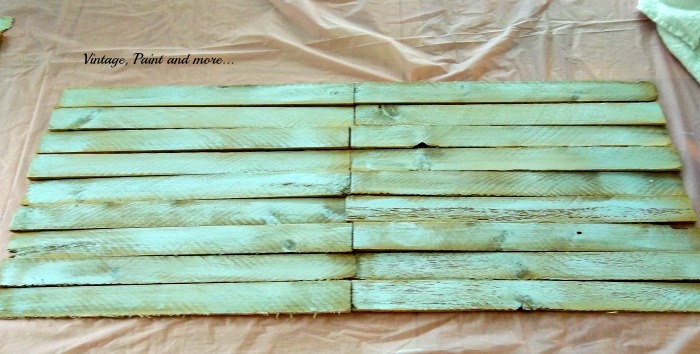 Here it is hanging on our faux pallet board background. the wood showing through the paint. 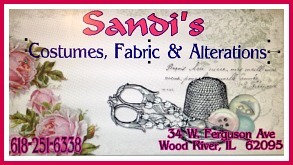 the texture of the burlap and seashells. I have to say I am very pleased with the way it turned out. have it turn out great in the end? I love your comments and reply to each of them through email. above my picture in the sidebar. I will be linking up to the parties listed on "I Party At" page. Cathy it came out so nicely! You make me want to go out and rent a beach home. I always love your beach decor! I've always liked the rustic look. I'm trying an African theme for my living room, it's a work in progress. 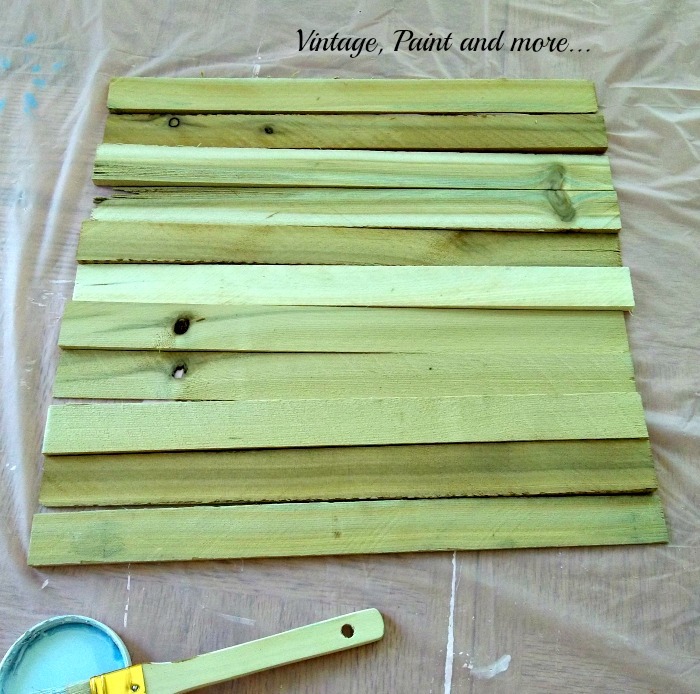 I love this and more than likely will be steali...errr using your tutorial for inspiration Cathy! I didn't know what shims were and didn't know you could buy them by the package. 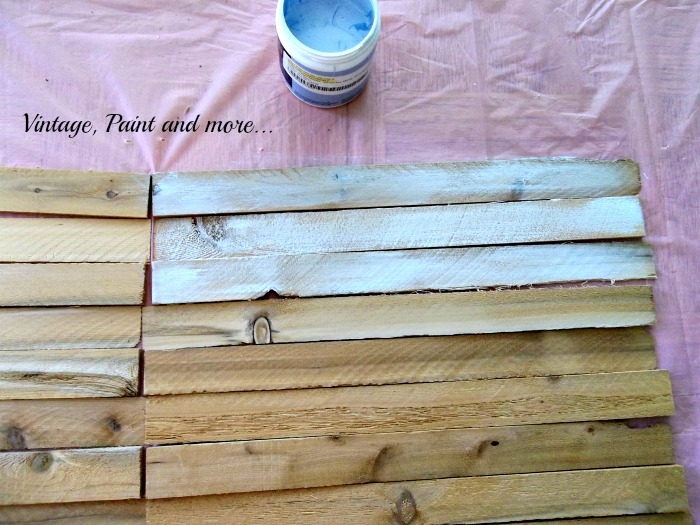 I have been thinking I would like to paint a sign with pieces of wood with words painted on them. Shims would work perfectly. Very nice! 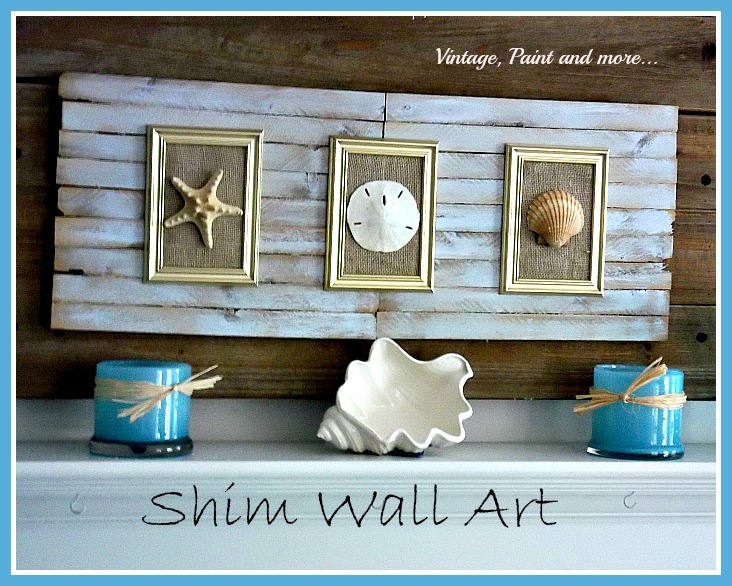 I never thought of using shims for anything decorative but it is a great idea!! Stopping by from Thank Goodness it's Thursday party. 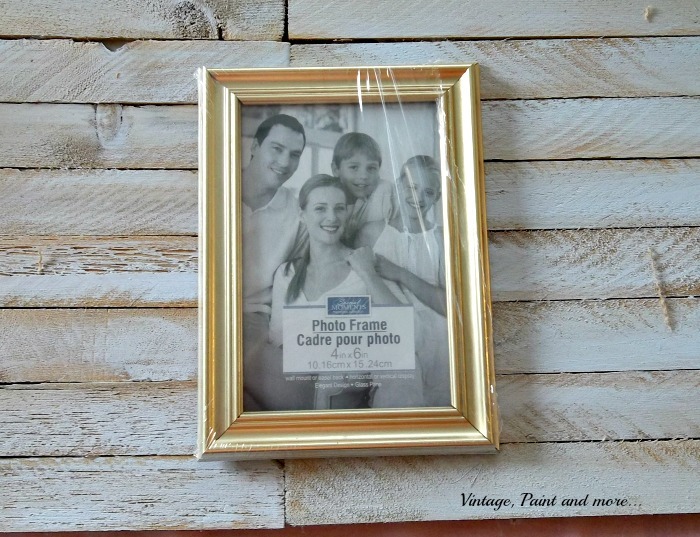 Very cute Cathy and clever idea to use the shims! Love the rustic feel of this piece. Thanks for sharing it with SYC. I am working on a wool watermelon pillow. 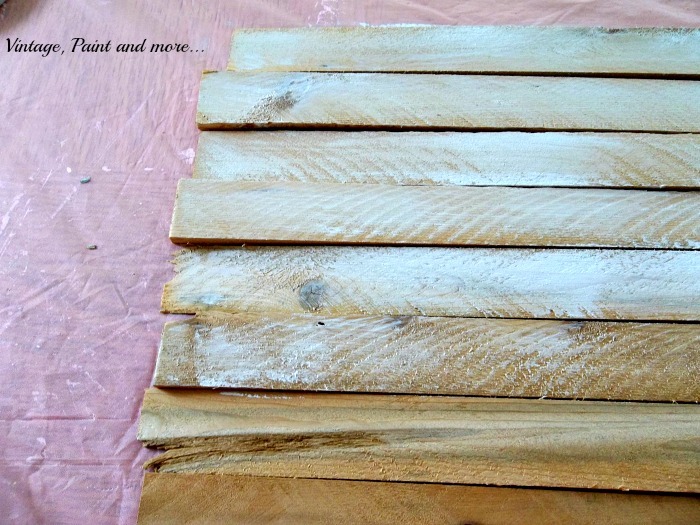 Oh this is beautiful - I just love the color you painted the wood with. 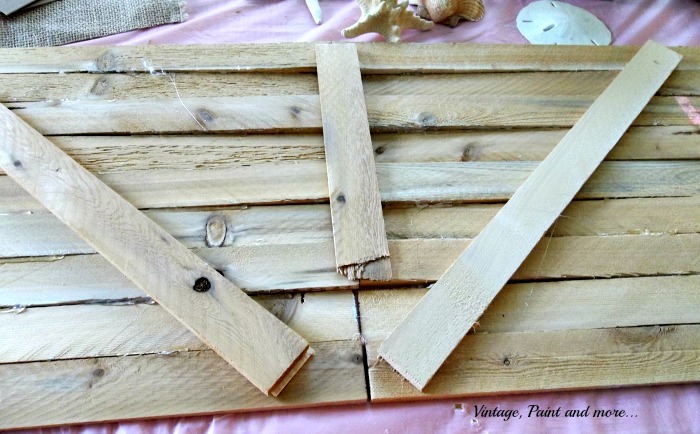 I will be featuring this project on my blog today! 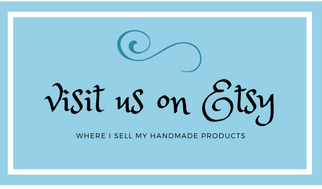 Thanks for linking up to The Creative Exchange Linky Party! 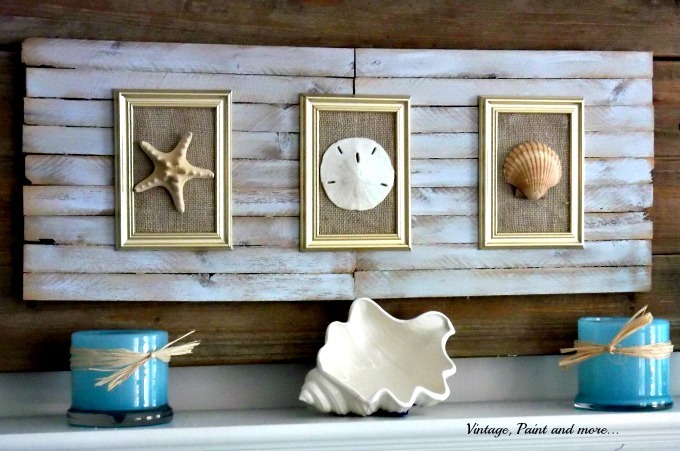 I just saw your fabulous beach art featured at The Cottage Market - love this idea and pinning!